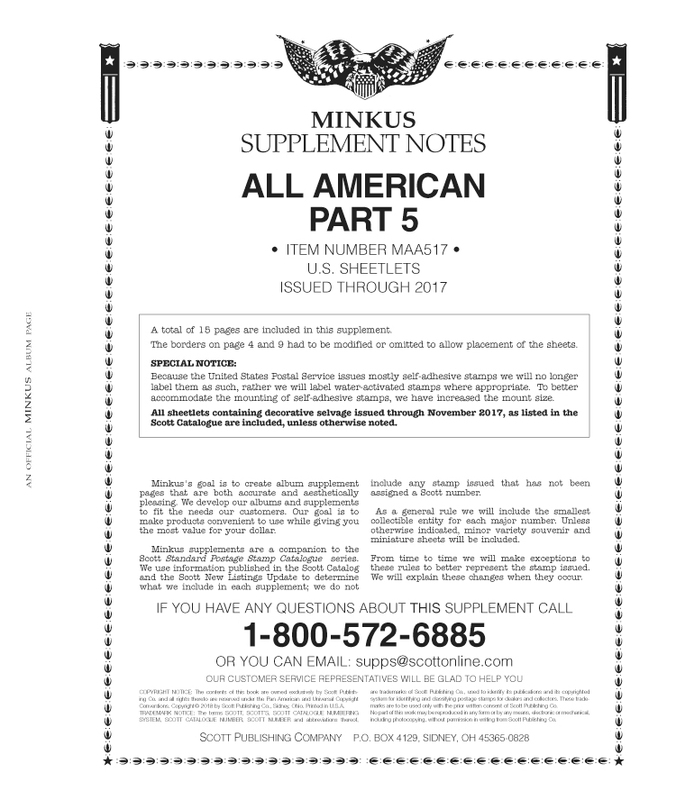 Supplements : Potomac Supplies, offering everything stamp collectors need! Most stamp albums have a open binder system that allow stamp collectors the ability to add update pages. These update pages are called supplements. Available below is a listing of the album Manufacturers that have this type of album. Choose the Manufacturer of your album, select the year, and then the individual country. Prior years are also available, although not listed. Please send us a note if you need prior years for your album(s). Regular/Standard indicates albums with pages without stamp mounts pre-affixed.